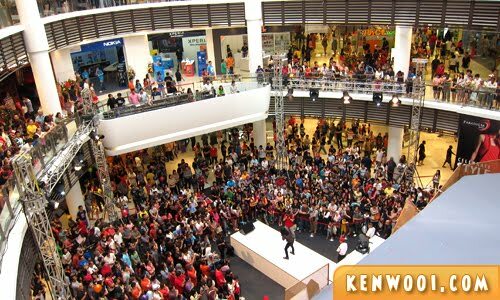 Paradigm Mall – the new shopping mall in town, Kelana Jaya to be exact. 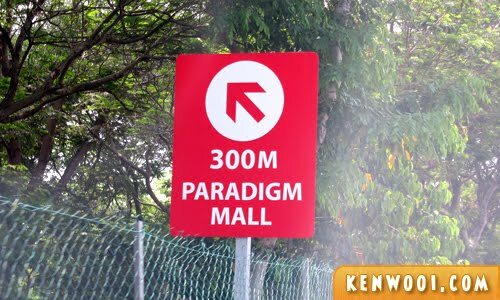 Honestly, I find it hard to pronounce “Paradigm” Mall. Sometimes it goes “Parady-gum”, or I may have called it… Pedigree Mall. 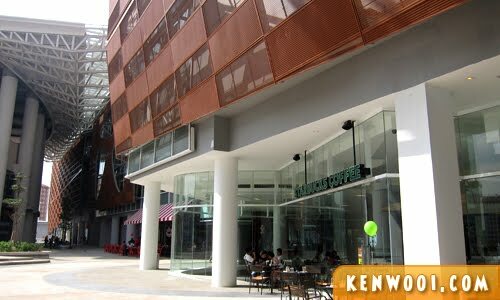 Anyway, Paradigm Mall is situated along LDP (Lebuhraya Damansara Puchong), and it’s really hard to miss it whenever you drive along the LDP highway. 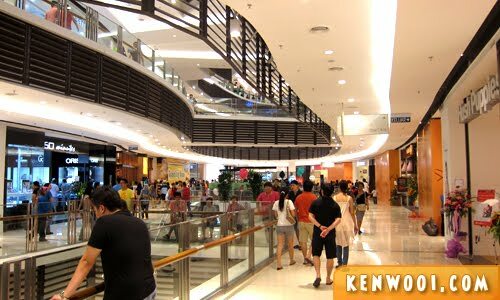 Since it’s new, and being a true Malaysian, I thought of checking the mall out over the weekend. Yeah, it was because of this “Free Slimming Treats at Paradigm Mall” bunting. Despite losing 10kg earlier, I have put on weight recently (due to food, duh). 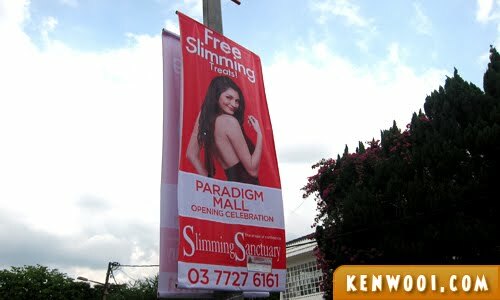 Therefore, it’d be nice to get a free slimming session. Take note – FREE! Upon reaching Paradigm, I noticed how convenient it is to enter into the parking area from LDP. 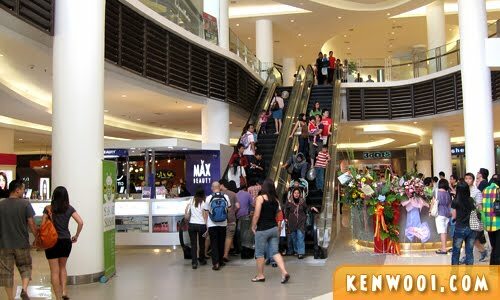 New roads were constructed to accommodate the ease of entry to the mall for the customers. After parking (which is free for now – typical technique to get people to visit), we proceeded into the brand new mall. Oh before I continue, I would like to highlight that there’s no phone reception for Maxis at the basement parking area and lower ground floors at Paradigm Mall. 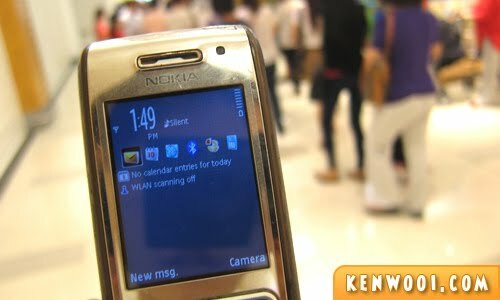 Isn’t it a little risky especially when we need to make urgent and important calls? 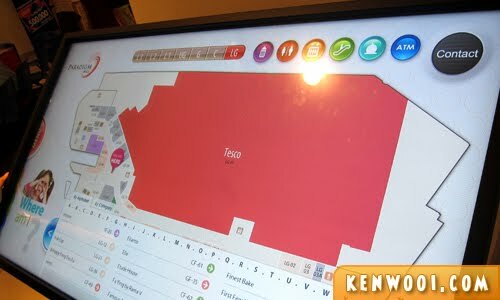 Anyway, once in the mall, the first thing to do is to check the mall directory. Gotta love the interactive directory on the big screen. The thing that took my by surprise about Paradigm Mall was the number of floors. They have Lower Ground, Concourse, Ground, Upper Ground, and all the way from Level 1 until Level 3 – a total of 7 floors! Repeat after me – WOAHhhhHHHHhh! Without further ado, let the exploration begin! Oh yeah, and not forgetting the main purpose why I was there – to find Slimming Sanctuary and get a free slimming treat! 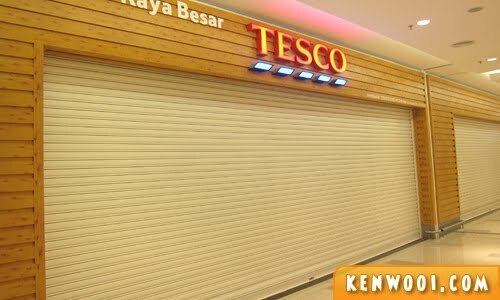 On the Lower Ground, Tesco took most of the floor space but it’s not in operation yet. At this point of time, Slimming Sanctuary couldn’t be found anywhere nearby. So we kept exploring – going floor by floor while checking out the available outlets. There are lifts around I suppose, but throughout our “quest” we only took the escalators. A live mini concert was happening that time, but I wasn’t interested. But the crowd was surely having a fun time watching, I’m sure. I remained focused – to look for Slimming Sanctuary for a free slimming session. So we kept looking – strolling along the corridors of the new mall. 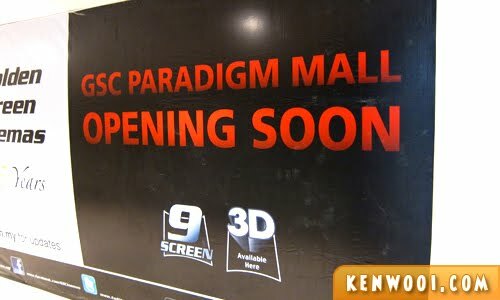 Paradigm Mall boasts a new concept – different from other existing malls such as One Utama and Mid Valley. The layout on each floor is distinct and curvy. Its unique exterior architecture resembles a shape of an amoeba. Housing more than hundreds of retailers, it has a variety of shopping selection ranging from fashion, entertainment to leisure. There are big tenants on each floor such as Padini Concept Store, Brands Outlet, Zara, Marks & Spencer, Zara, Harvey Norman and Popular. 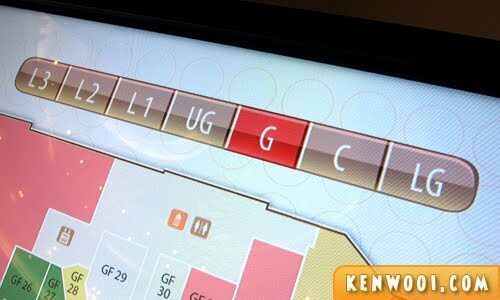 Anyway, at the highest floor (Level 3) lies a new cinema – the Golden Screen Cinemas. Opening soon, it says. You’ll never miss another blockbuster again! By the way, the mall is abundantly equipped with many choices of food. They are just too tempting, especially when my stomach is on a strike (aka hungry). I came to Paradigm Mall to slim myself down, but food… Oh food, they can’t be resist. 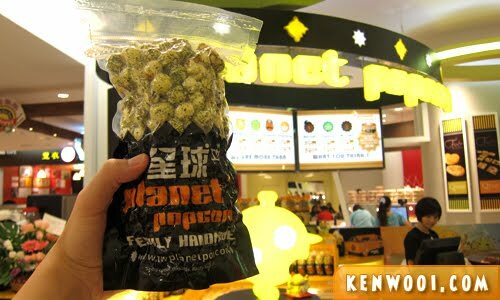 Therefore, I bought a packet of seaweed popcorn from Planet Popcorn. It’s good stuff, you know? Delicious, must try! So okay, just a packet of popcorn will do. I shall continue with my slimming quest. But later on, I came across Tong Pak Fu – a Hong Kong style dessert specialist. Thinking it was still acceptable, I gobbled down a plate of Durian Snow Ice. Yummeh! Okay, still – the main objective – Slimming Sanctuary! 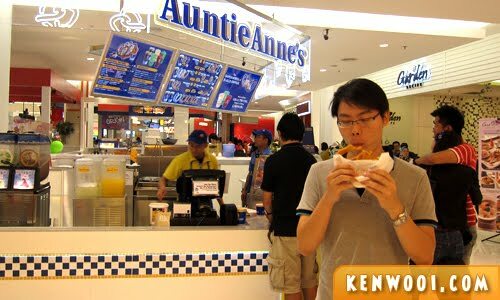 I ventured on, and the exploration then led me to Auntie Anne’s – my favourite pretzel outlet! Another craving! 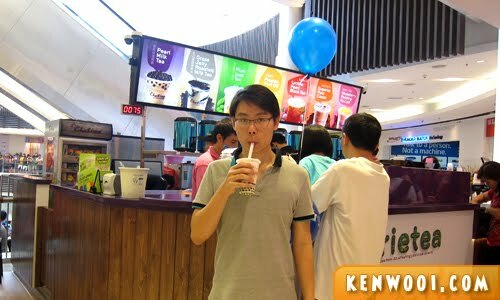 But then… all these food made me thirsty leh – thank goodness there’s Chatime in Paradigm Mall too! So I resumed my quest for the ultimate slimming experience, and… FINALLY! YES! Slimming Sanctuary, I FOUND YOU! Without wasting anymore precious time, I walked to the reception counter and asked for a free slimming treat. Crap, how did that happen? What happened to my stomach?! How can? HOW KEN?! NNnuuuuuuuuuuuuuu!!! Eye-candy? -__-” oooookayyy. Now I know your taste hahaha. So many new mall opened last week. Kelana Jaya is more traffic-free to go to from my place so I guess it’s good for me if I wanna catch a film that I wanna pay for lol. LOL!!!! Ken, you are not fat at all lor!!!! you’re not fatlah! every tummy grows a little after all the food. btw..i love the popcorn too. 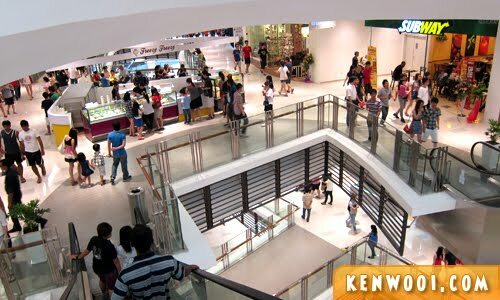 Hahaha interesting way to introduced this mall, havent been there YET.. now got overview liao! HAHAHA did u purposely make the tummy kembang?? i have been eyeing the mall everytime I pass by it from work. been wondering whether I should go and check it out. to my surprise that there are so many shops..
compare to SS2 mall, tropicana mall…it is so empty.. I myself have mispronounced it as “Paradig-erm.” “Paradime”, I think, is the actual pronunciation. Oh, and the basement car park looks a little creepy…. LOL, I enjoyed the post! 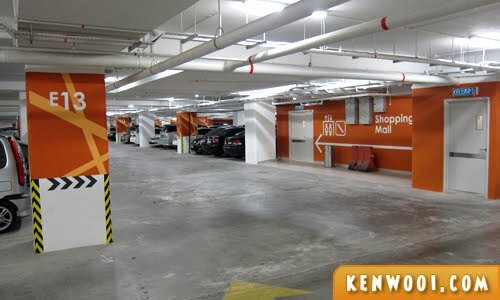 ^^ and I agree the creepy car park..
You’re too funny, Ken! I hated the car park. It smelt of prawn shells and is totally unfriendly. I just kept on going round and round and round not knowing where we were headed. You’re funny. 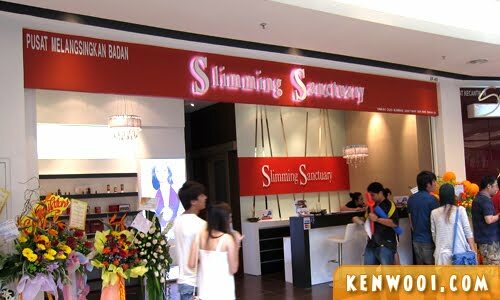 Next time you can go directly to Slimming Sanctuary if you could remember way inside that mall.